The ninth annual FanDuel Legends Classic began with an upset as Belmont took an 83-80 decision from Marquette in Milwaukee. Evan Bradds led the Bruins and all scorers with 24 points to go with nine rebounds. Craig Bradshaw netted 18 points, Nick Smith tallied 14 points, and Kevin McClain added 10 points. In a game that saw 10 lead changes and 11 ties, Marquette took an 80-79 lead with 1:23 remaining on a Duane Wilson jumper. 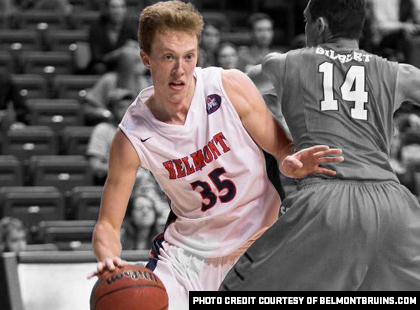 Belmont regained the lead when Luke Austin hit a pair of free throws with 28 seconds to go, and then Belmont forced a turnover with seven seconds left and Austin again hit a free throw for the final margin. In his collegiate debut, Henry Ellenson led Marquette with 21 points and 16 rebounds. Wilson scored 13 points, Luke Fischer had 12 points and 10 rebounds, and Sandy Cohen III posted 11 points and six rebounds. The FanDuel Legends Classic resumes Sunday when NC State hosts South Alabama in a 6:00pm (ET) game on ESPNU.